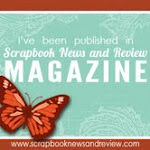 Today is reveal day at Let's Scrap! We have a brand new sketch challenge for you. We have weekly sketch challenges on Wednesdays along with additional challenges and tutorials - come check us out!!! Here is the sketch - you can use both pages or just one. I chose to do both pages since I had several pictures of Tanner's Music Program to scrap. I used paper from Boys Rule and some notes from Quarter Note cut out on my Cricut. I tucked in some music washi tape behind the photo mats. I used a Faber-Castell PITT artist pen to ink the edges of the papers. Tanner got to play the Xylophone (he is wearing the lime green shirt)! I played flute and piccolo and Tanner is the first of my boys to try a musical instrument!! Hello friends - it is baseball season and I wanted to share this blingy baseball mug I decorated on The Buckle Boutique Blog today! My friend has a son who plays baseball at Wayne State in Nebraska. She knows I decorate wine glasses so she asked me for a blingy baseball mom wine glass. I know she prefers beer to wine, so I offered to make a glass beer mug instead. The baseball and word "Baseball" were found in the Silhouette online store. I cut them out in black and red vinyl using my cameo. The M's are from my Cricut cartridge Varsity Letter and I cut them out with my Cricut Expression in gold/yellow rhinestone resin sticker sheets from The Buckle Boutique. They come in a variety of colors! You can find them HERE if you are interested! Here is a close up on the vinyl and adhesive. I think they make a great team!! Happy Monday!! Today I am featured at Frosted Designs with a spring project - now that winter finally gave it up and let us have spring!! I covered a composition notebook with a piece of Nirvana "Bliss" paper. I used the reverse side of the paper for a label. I inked the paper pieces with Ranger Ink Distress Markers (Bundled Sage and Walnut Stain). I cut out the word "bloom" in brown vinyl using my cameo and added it to my label. I added a bit of ribbon and lace to frame the label. I inked some chipboard pieces with Juniper Acrylic Paint and added them to the cover. 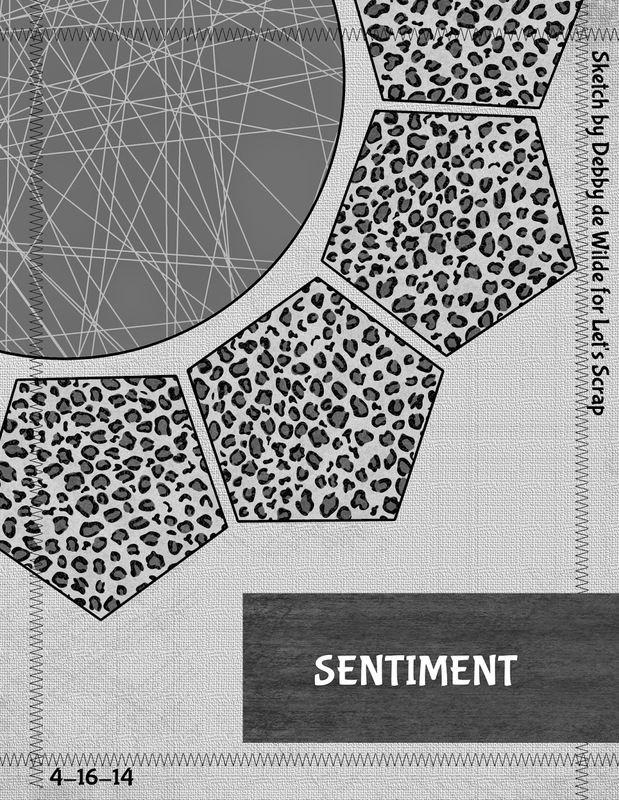 I inked some Nature Walk Elements from 7 Dots Studio and added them to the bottom corner. I added a pocket inside the front cover for seed packets or receipts. I used Lindy's Stamp Gang Magicals for the first time!! 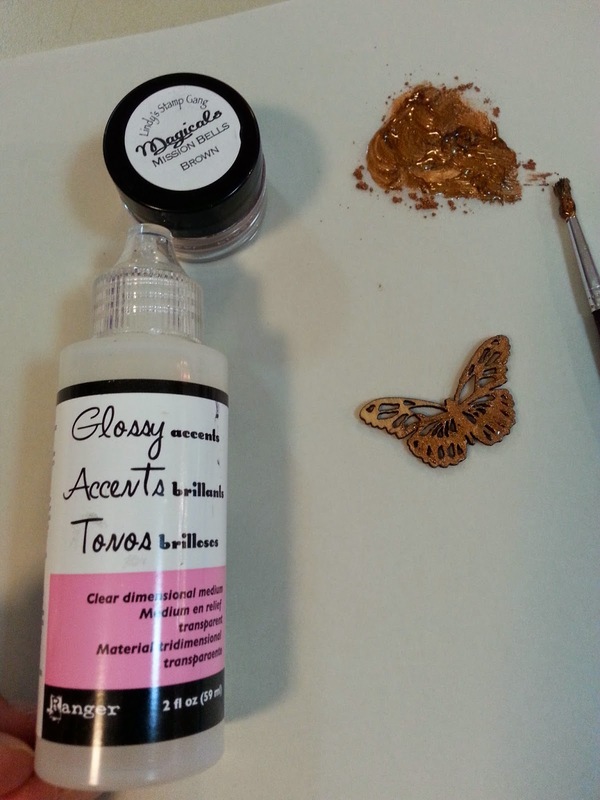 I mixed Mission Bells Brown with Glossy Accents and painted it on this butterfly - gorgeous!!!! The Beauty of Nature kit is amazing!!! I hope you have an amazing spring!! 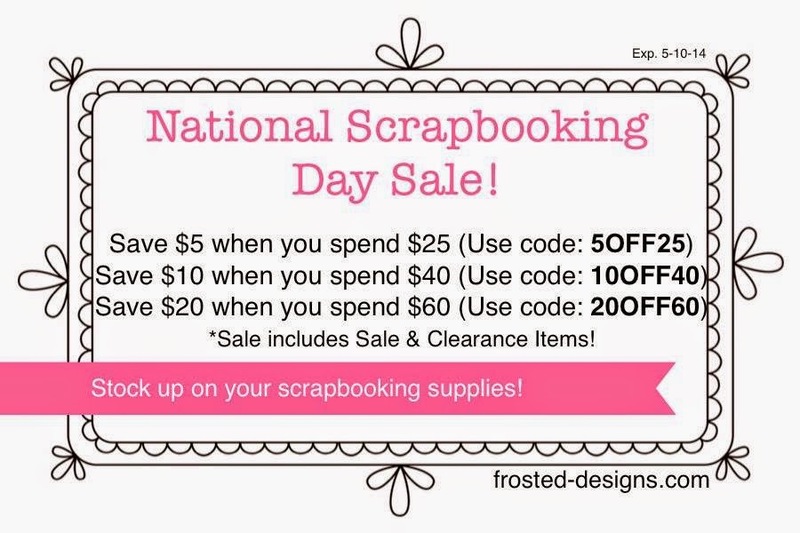 We are having a sale at Frosted Deisgns for National Scrapbooking Day!! 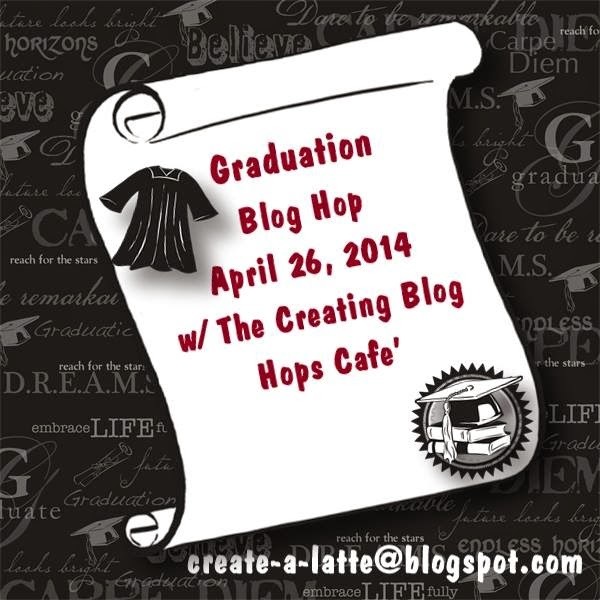 Hello and Welcome to the Graduation Blog Hop!!! We hope to inspire you with some Graduation projects!! You should have arrived from SHARON. If you found me first, please hop to the BEGINNING so you don't miss any projects (or the chance to win some blog candy)!! 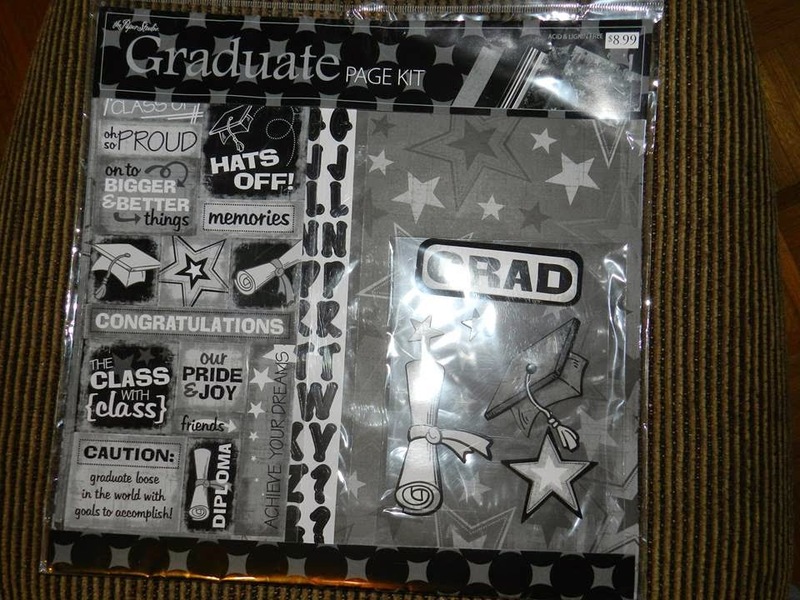 My middle son graduated from high school last year and you can see what I made for his party HERE and the cards I made for his friends HERE if you like. For my post today, I made a couple of cards that hold gift cards or cash. 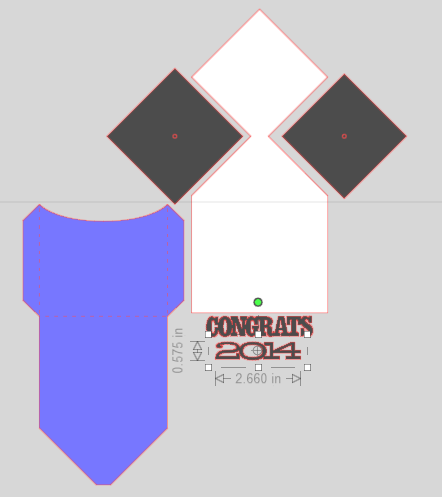 I don't make many cards anymore, but I try to make graduation cards so I can personalize the school colors!! I cut the pieces out in blue, black and white and used my ATG gun to adhere them together. I used my fine tip glue pen to adhere the sentiment. I made a tassel out of DMC floss for the cap and secured it with tape before I adhered the cap to the card. Perfect for tucking in a gift card or cash! You next stop is EVA! We have a new baby in the family!! My step-brother and his wife just welcomed their third child and I wanted to make something special for him. I got this float frame from Michaels and started creating on my cameo. The white background is a sheet for photo taking purposes only, the wall color will show through. Mom's favorite bible verse went on the frame. I love making these for new babies!!! 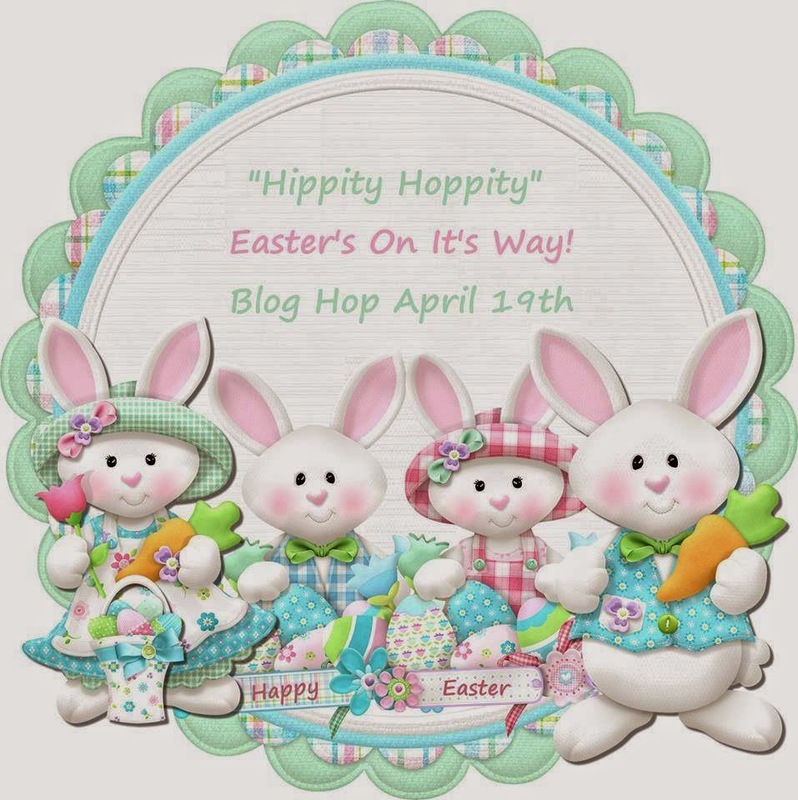 Hello and Welcome to the Hippety Hoppity Easter's on its Way Blog Hop!! You should have hopped over here from Jessica's Blog. We are featuring Easter projects today. Lately I have been cutting vinyl like crazy. I purchased some egg images and bunny images from the Silhouette online store and thought they would look darling on some tin buckets. I kept the bunnies on one bucket because they are so much smaller than the eggs! These buckets are easy to personalize on the back! I purchased these milk bottles on clearance at Christmas time and ended up not using them. The blue is a good Easter shade so I cut some larger eggs out as well as Some Bunny Loves You sentiment. I have one for each of my boys here (don't worry - I will fill the other two with candy)! Here is a close up of the cup - you can see the egg from the back side when the cup is empty. I hope you have a wonderful Easter weekend!!! Close To MY Heart Chocolate Affair Stamp Set. 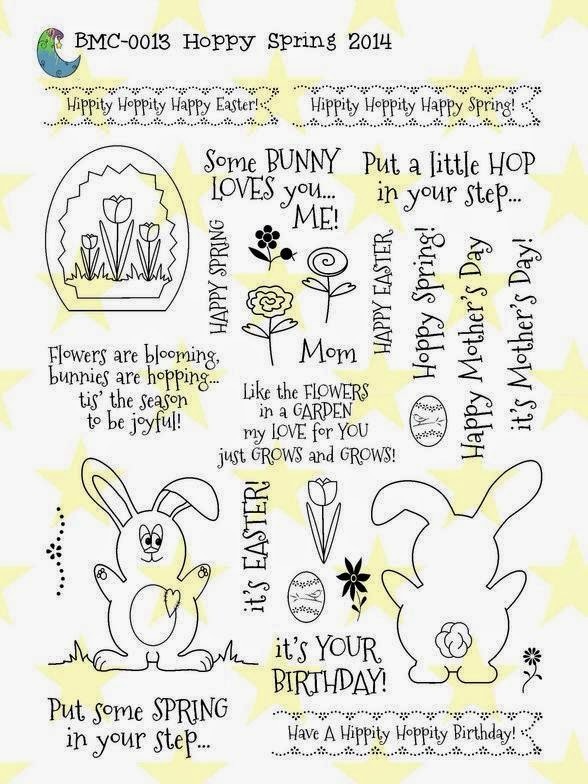 A set of candy stamps for the sweet Easter season! 17.95 value. Just leave a comment at all of the blogs in the hop to be eligible to win!! Your next stop is THERESA so Hop On Over!!! Here is a complete line up in case you get lost along the way! 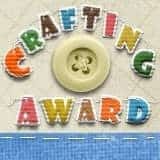 Today starts a brand new challenge at Let's Scrap!! I am on the Design Team and I hope you consider joining us!!! This picture was taken at my niece's birthday party. This niece, Jenna, was not the birthday girl and I grabbed this quick photo of them before we went inside the skating rink. Jenna is 12 and Tanner is 8!!! Here is our sketch. This is a card sketch, but I wanted to use it as a layout sketch. 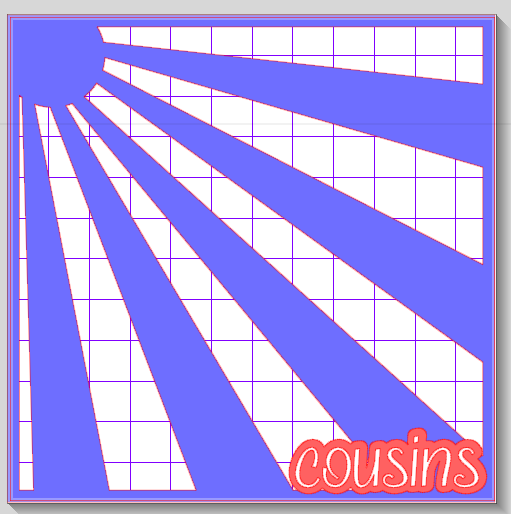 I really loved the sunburst design and cut this one at 12 x 12 on my cameo. I used a font from my computer for the title. I created the shadow layer and adhered the letters on top. I pop-dotted it to the bottom corner of my layout. I used Teresa Collins paper and embellishments behind the blue paper. 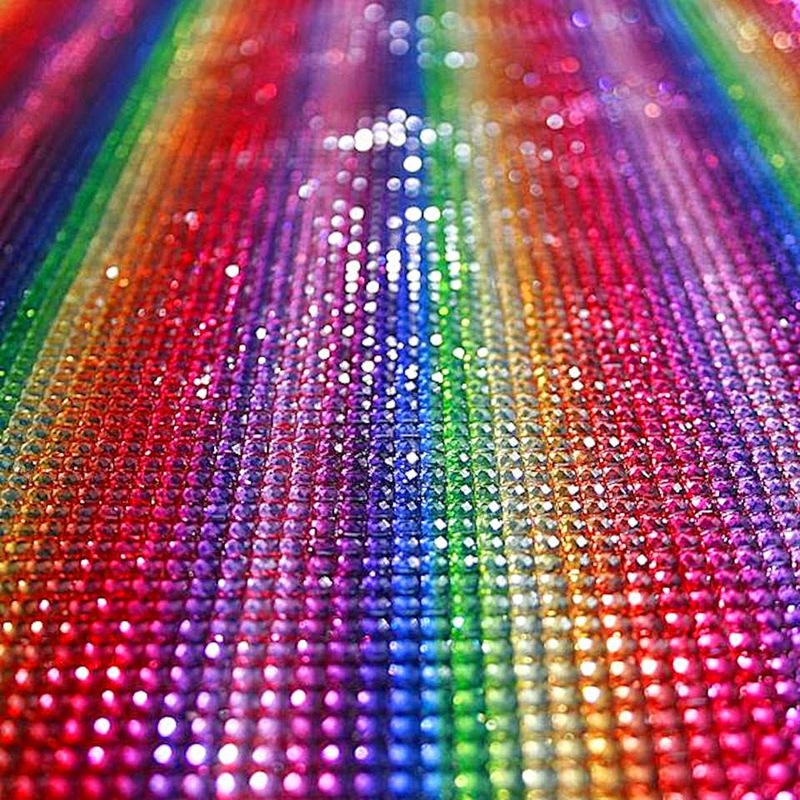 I just love these colors!!!! I tucked a burlap heart behind the photo. I am so blessed that my three boys are so close to my three nieces!! They really have a special relationship!! 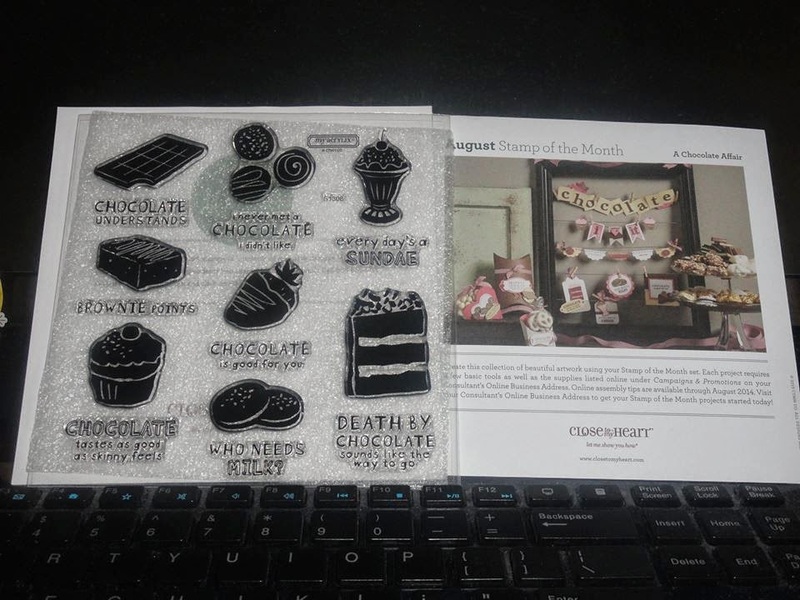 The heart, paper and embellies came from Frosted Designs online store. 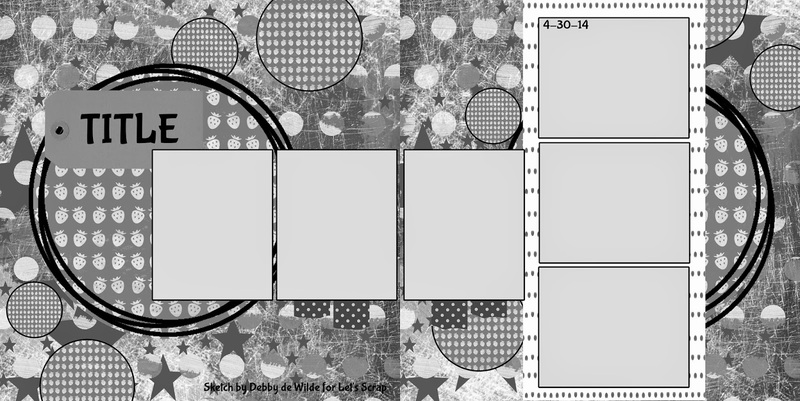 I hope you join us at Let's Scrap with a card or layout - we are also having a DT Call!!! Submissions are due April 25! Welcome to our Fun With Frames Blog Hop brought to you by our Krazy Crafting Crew. traditional, every now and then there may be a little mixed media too! My son Tyler graduated from high school last year. I wanted to create something to display some of his friends photos for his bedroom. I started with a wood open-back frame from Hobby Lobby that I painted black. I stapled chicken wire to the back with my staple gun. I added felt pads all around the back of the frame to prevent the edges of the chicken wire from scratching my wall. The front looked a little bare, so I fired up my cameo! I found a quote about friends on pinterest and typed it on my virtual mat using a font from my computer. This quote will go on the bottom of the frame. Next, I typed out his nicknames for the top of the frame. I cut out the words in white vinyl. Here is the bottom with the quote on it. It is complete!! I used tiny clothes pins. The button in the top corner is from Tyler's friend and teammate who was in a bad car accident sophomore year. We were not sure if he would survive the accident and if so, would he would have severe brain damage. That year, the baseball team dedicated their season to Tyler Milz and he came back to play baseball his senior year. He is not 100% the same, but he is a fighter and he gave us so much inspiration!! The other boys on this frame are great friends and baseball teammates. Thank you for coming by and hope to see you again next month! Our host this month is Cicily. Our sponsor is Scrapbook Generation who is sponsoring 2 winners who each get to choose an ebook sketchbook of their choice from Scrapbook Generation!! It's Springtime and Easter time and what better way to celebrate this Season than with an Inspirational Thoughts Blog Hop. We hope that our projects will enlighten you and bring you all peace and blessings for a wonderful day! So what do you need to do to win? 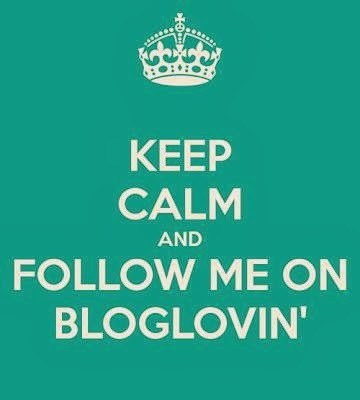 Easy... become a follower of each of the fabulous blogs in this hop and leave each of them a comment letting them know what you like best about their projects. 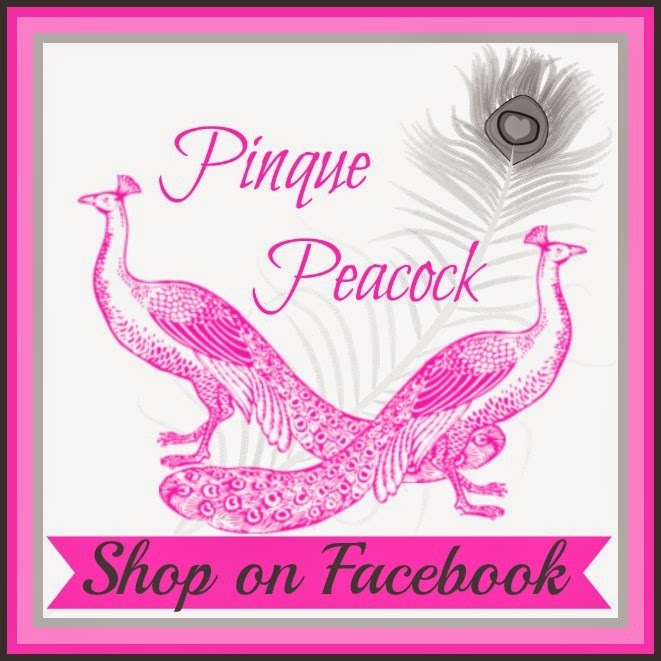 Then stop by our sponsor's page at be sure to like her on facebook!! I have a friend who wrote a motivational book and has asked me to put some of her quotes on glass blocks and tiles for her. This glass block is one of her most popular items!! I used etching cream to frost the front of the glass block. I used a font on my computer for the quote. I cut it out in black vinyl. I cut out the word "ONE" in lime green as well. Next I adhered the vinyl and placed some white lights inside the bottom. You can find out more about Michelle's book and blog HERE.